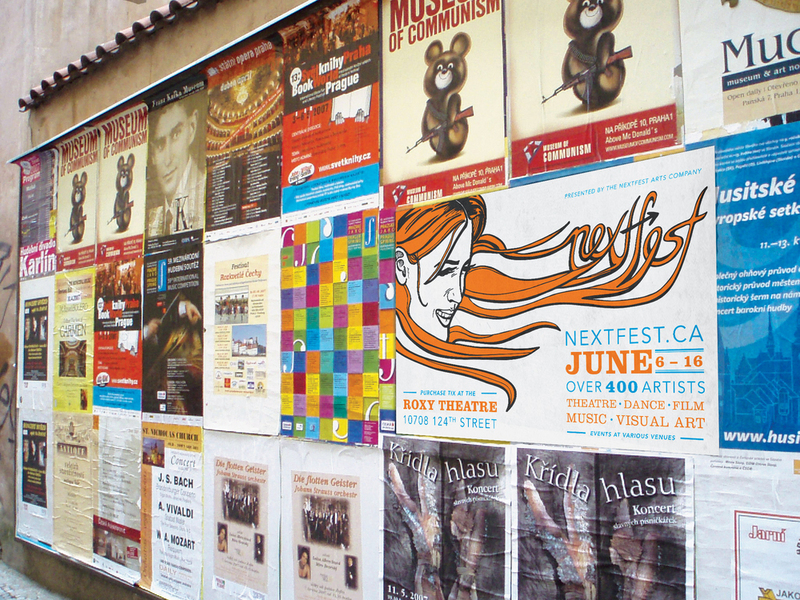 NextFest provides professional development opportunities and a place to showcase creative work for young emerging artists from many disciplines. The advertising presence is friendly so as not to deter the general public from getting involved in a community they may not have experienced before. 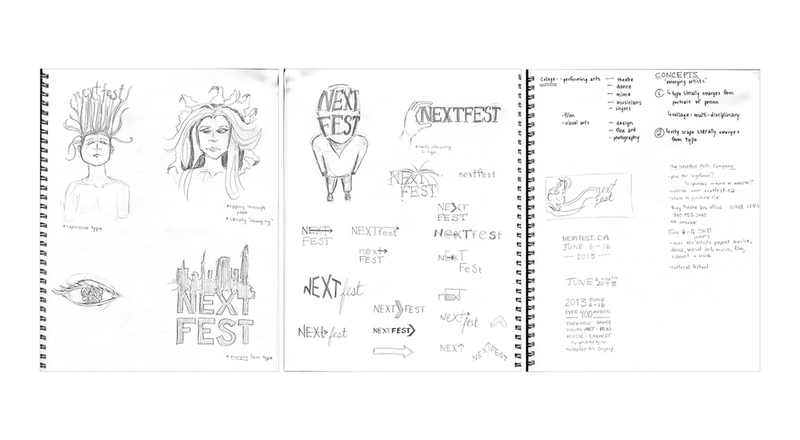 The wordmark for NextFest is literally emerging from the artist while the hand-rendered type reflects the raw quality of the creative crafts. The campaign’s goal is to bring Edmonton together for art appreciation, targeting men and women between the ages of 18 – 65. The billboard ads and posters are placed near campuses, Whyte Ave, downtown and 124th Street where the Roxy Theatre is located. The bus shelter ads specifically target foot traffic and a large segment of the population.